"...Muslim scientists laid the foundations for the scientific and technological transformation of the modern world. [...] The name of the great mathematician al-Khwarizmi (d. 850), for example, has given us the word "algorithm," while the Arabic title of his book "Kitab al-Jebr" lies behind the name we attach to its subject: algebra. Some of the most commonly used and essential tools of modern medicine, including the syringe and the forceps, were invented by the medieval surgeon Abu al-Qasim al-Zahrawi. Point to a star in the sky, and there is a good chance it received its name from a medieval Arab astronomer. 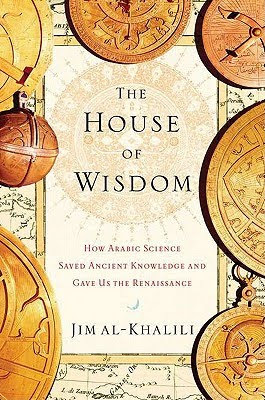 [...] Khalili, a British physicist of Iraqi-Iranian extraction, challenges the Muslim world to embrace its scientific heritage. He admits that Muslims in recent years have contributed little to science. "Fortunately," he says, "things are changing fast." He wrote those words before the political upheavals of recent weeks. Whether that turmoil will ultimately produce another Ibn al-Haytham or al-Razi remains to be seen." Interesting historical and cultural elements which should not be forgotten.